Sleep. Parents crave it and kids haven’t quite yet figured out what a blessing it is. Fortunately, hundreds of products are designed each year to help parents and their children navigate the oft troubled waters of bedtime. But which products actually work? To find out, we consulted parenting websites, popular blogs, and the Amazon bestseller list to figure out which of the many existing products are the 20 best products for ensuring kids get a good night’s sleep. The Baby Shusher ranks as one of the bestselling “sleep soothing” products on Amazon, and for good reason! This easy-to-use device is inspired by the revolutionary sleep book, The Happiest Baby on the Block. It works on a 15 or 30-minute timer, and produces a calming shushing sound as soon as the baby begins crying. To add to the convenience, the Baby Shusher is easy to keep clean and small enough to bring with you anywhere easily. Also check out our review of the best white noise machines for kids. 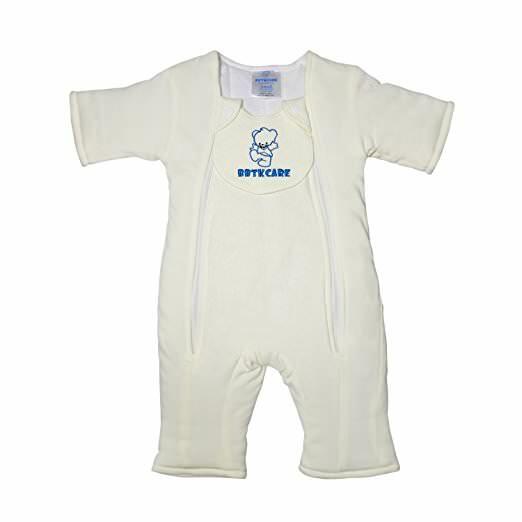 As babies begin the transition from swaddling, parents might find that the Baby Sleepsuit is helpful in bridging the need to feel secure with the newfound use of reflexes. The Sleepsuit is especially designed for baby to remain cozy and secure, but with the freedom to move reflexively without startling awake. Its high-quality cotton keeps baby from becoming overly warm or too cold, which means you can get rid of those hazardous crib blankets. By allowing the baby to remain comfortable throughout the night, the Sleepsuit helps to develop positive sleeping habits and patterns. This natural sleep balm is a blend of essential oils meant to calm and sooth your baby or child (or maybe even you!) into a comfortable sleep. 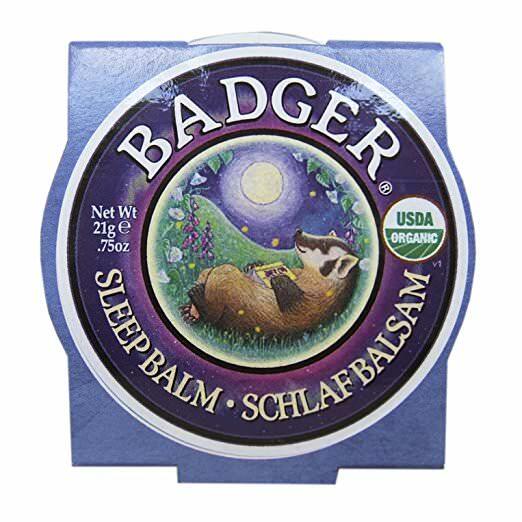 Certified organic by the USDA, Badger Sleep Balm is totally natural and contains rosemary, bergamot, balsam fir, and lavender. It doesn’t contain any fragrances, dyes, GMOs, synthetics, or artificial ingredients. To use, simply rub it on the child’s lips, chest, or temples — inhaling the balm’s scent should bring about a quiet relaxation in no time. 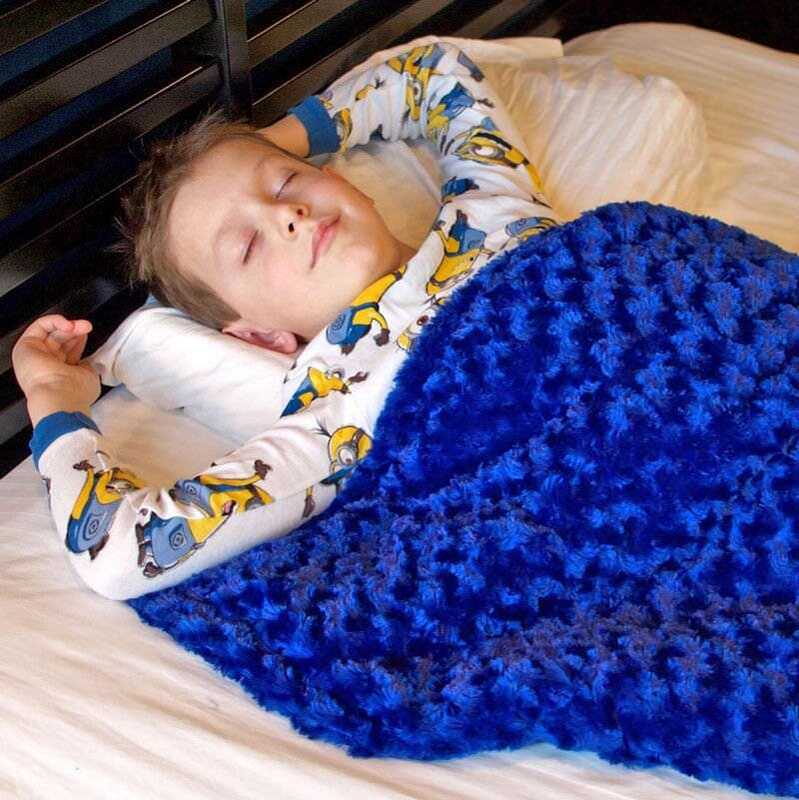 The Gentle Giraffe has been a longtime favorite product for helping kids achieve a good night’s sleep. 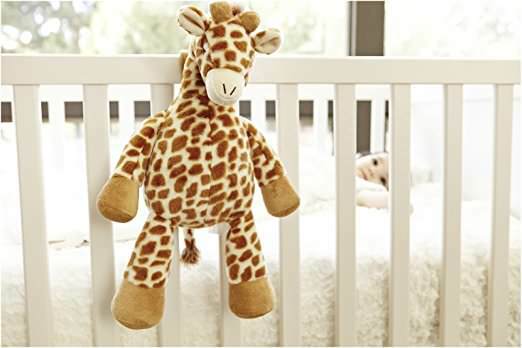 The toy is soft enough for toddlers and children to snuggle with, while younger babies will benefit from the giraffe’s heartbeat sound or built-in lullabies — simply strap it onto the crib with the attached velcro for a younger child’s safety. Parents may also be happy to know that the giraffe’s music box has two timer settings available, the longest of which runs 45 minutes. Because we tend to sleep better in total darkness, the Gro-Anywhere Blackout Blinds are a great product for ensuring kids achieve a better night’s sleep. Not only are the blinds made of quality black-out material, they’re also easy to put up and adjust thanks to velcro fastening and suction cups. 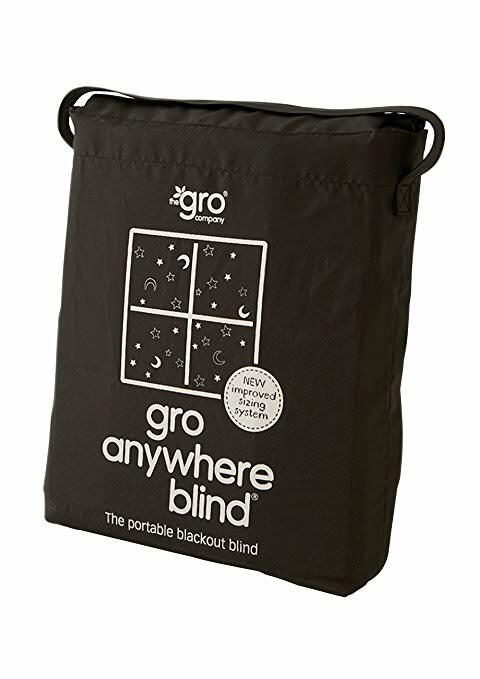 The light-weight travel bag means the Gro-Anywhere Blackout Blinds can accompany you anywhere, whether halfway around the world or to Grandma’s house. 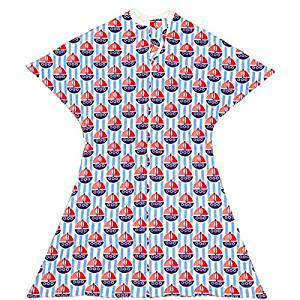 They can even be used at home when the long summer days mean bedtime comes before sunset. 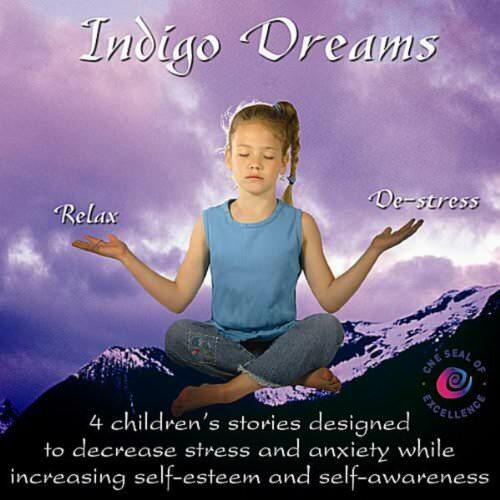 There are a number of CDs in this series, but when it comes to sleep, this is the one most recommended by parents. Totaling one hour in running time, the CD consists of five children’s bedtime stories. Each story is told in a relaxing manner, with a volume that progressively decreases over time. The stories are most appropriate for younger children, and the CD can be helpful before bed time, nap time, or even just relaxing on a quiet afternoon. Little Aurelia’s Sleep Time Top to Toe Cream was recently named the winner of Best New Baby Product at the U.K.’s Mama & Baby Awards. This luxurious BioOrganic cream consists of rich shea butter, starflower and rosehip oils, meadowsweet, and calendula, and is ideal for sensitive or dry skin types. Additional ingredients of lavender and chamomile bring comfort and relaxation, so that a child can fall asleep quickly and comfortably. In addition to the Top to Toe Cream, Little Aurelia also makes an award-winning Sleep Time Pillow Mist, Sleep Time Bath & Massage Oil, and Sleep Time Top to Toe Wash.
Lovingly designed by two Icelandic grandmothers, the Lulla Doll Sleep Companion is designed for babies and toddlers. The doll mimics real-life breathing and heartbeats to encourage relaxation and closeness, and studies have shown that babies sleeping next to a Lulla Doll sleep better and longer. As baby falls asleep, parents need only push Lulla’s heart to start eight hours of gentle breathing. Lulla’s soft natural cotton exterior is even designed to pick up the scent of a parent. The doll has proven especially beneficial for preemies. Sleep experts and pediatricians agree that children sleep best when their environment is completely dark — not such an easy feat for a child who fears darkness. This handheld sleep soother is the perfect alternative to the traditional night light. 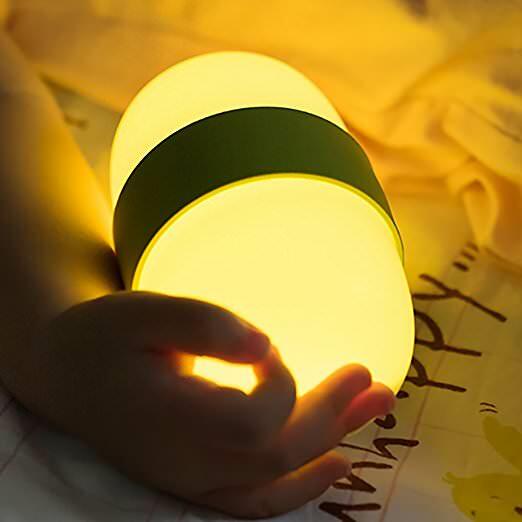 Perfectly sized for young children to hold comfortably, the Night Light Handheld Sleep Lamp provides children with a warm orange glow that is easy on a child’s eyes. Set the lamp to a timer, and it will progressively darken over the course of 30 minutes. The light is durably built and made with toy-grade plastic so it is not easily broken. Alternatively, the light can be used by parents to check on babies or children throughout the night without having to turn on many bright lights. For those who just aren’t too impressed by the traditional mobile, there’s the Ocean Wave Projector by Ausein. This unique product consists of 12 LED light beads which project waves and aurora-like projections on the walls and ceiling. 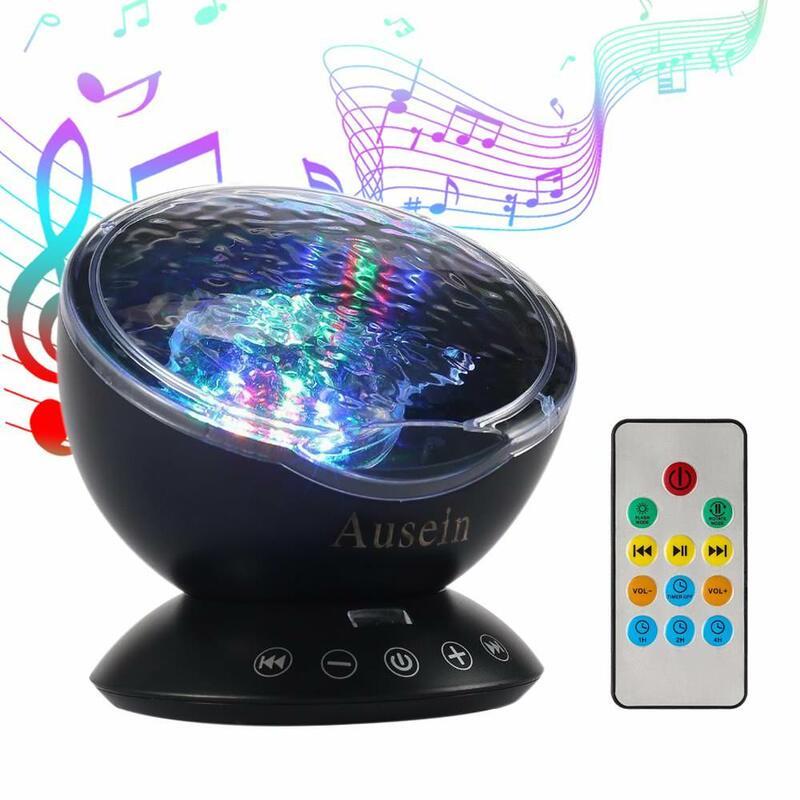 As if that weren’t cool enough, there’s also a miniature music speaker for the four built-in lullabies, or sounds of the ocean and forest. Although the projector has Smart Touch keys that are easy for a small child to turn on and off, it also works via remote control and has a built-in timer that can shut off the projector after one, two, or four hours. The OK to Wake! 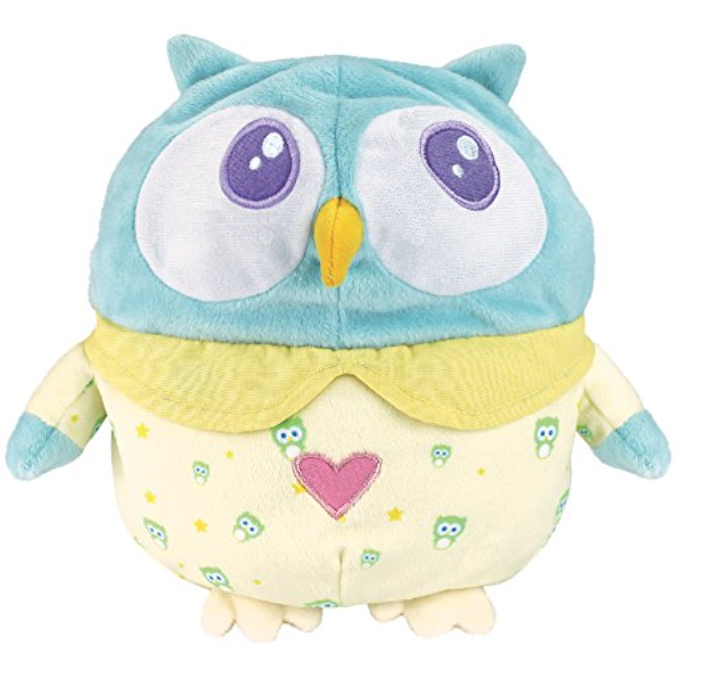 Owl, an Amazon bestseller, is perfect for the toddler who has a tendency of waking up before the rest of the family. The eight-inch owl — perfectly sized for little hands — is comfortable enough to cuddle with throughout the night, and even becomes a temporary nightlight with a simple squeeze. But the owl’s real value comes in the form of a timer. When the child wakes up, the owl’s eyes glow either green, signaling that it’s okay to rise, or orange. Should the eyes glow orange, the owl even goes a step further by playing one of six soothing lullabies to send the child back off to sleep. 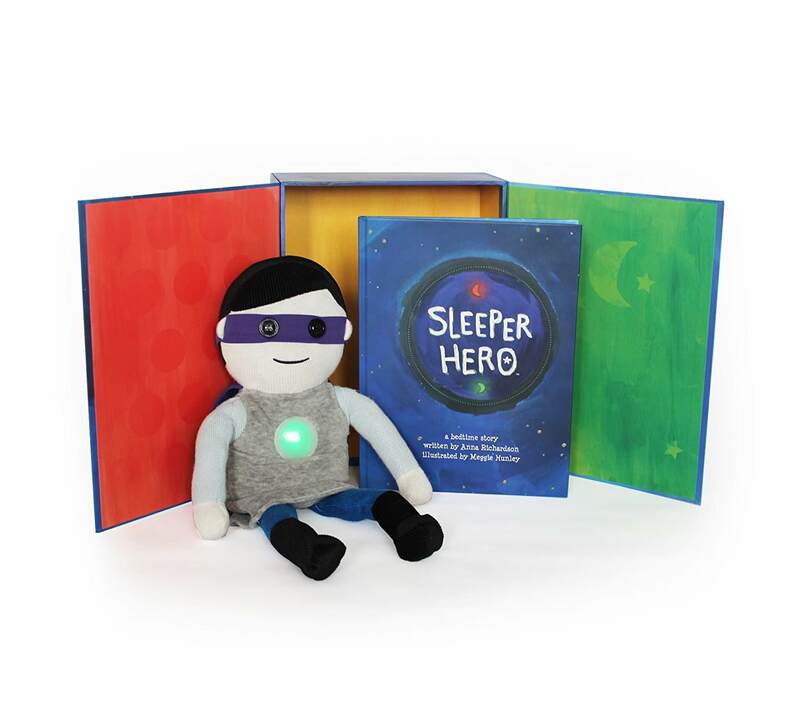 This is the kid’s version of Sleep Genius’s NASA-recognized Advance Sleep Program. Designed especially for the different brain patterns of children, the Sleep Genius Baby app blocks out noise and emits low frequencies in order to help baby fall asleep faster. It also enhances a child’s brain development by creating new neural connections. The app has two parts — “Nap Time” and “Bed Time” — each of which contains different features. 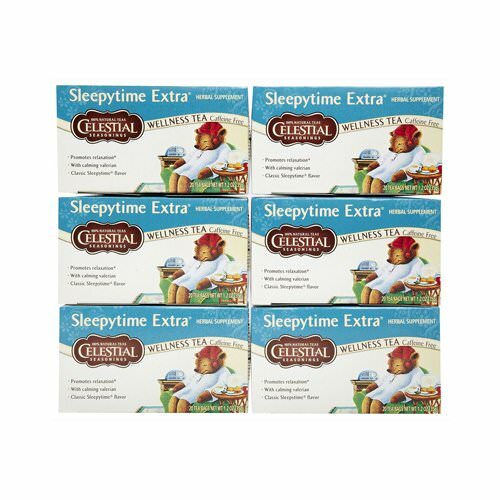 Children old enough to enjoy a tasty cup of tea will love the Sleeptime Extra Tea, even if they don’t realize that its purpose is to relax them into a good night’s sleep. The tea, which comes in a box with an adorable snoozing bear, is naturally caffeine and gluten free, and contains no artificial flavors. What it does include is the natural potent herb valerian, which promotes relaxation and comfort. Studies have shown that people who wake up minutes before their alarm clock do so out of stress. 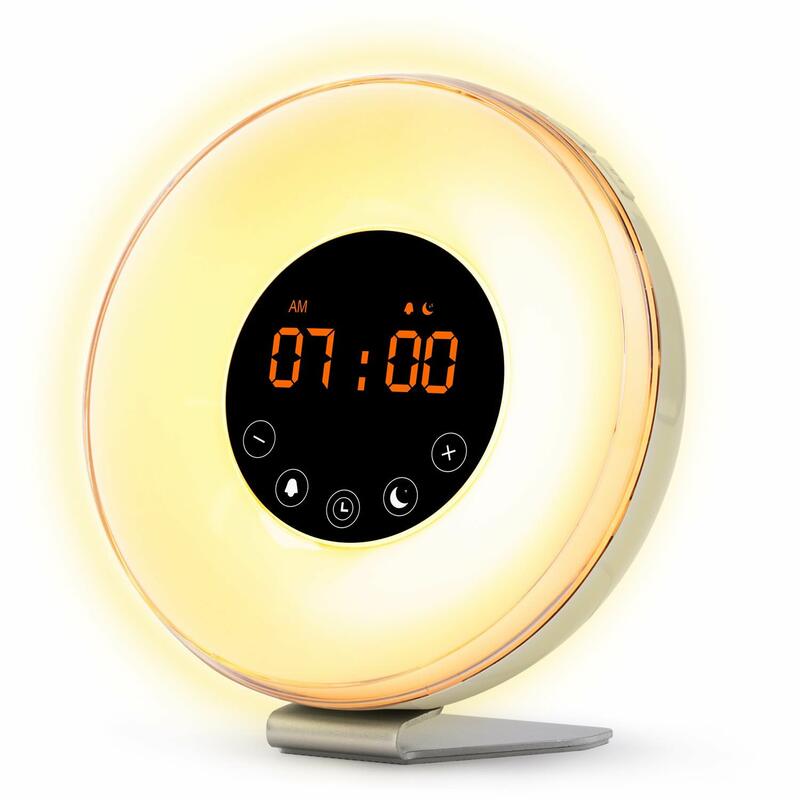 Children can avoid the abrupt wake up that comes with a traditional alarm clock by waking up with a Sunrise Wake Up Light Digital Alarm Clock. This Amazon bestseller emulates a natural sunrise by becoming progressively brighter as the time nears the intended wake up time. This way, children’s bodies wake up naturally. If the light isn’t enough, simply add one of the five natural sounds (birds, a forest scene, waves, traffic) or FM radio. The clock can also be used in the evening, during which time it gradually darkens like a sunset. Help kids get to sleep naturally with the Sunset Dimmer. One of Amazon’s best-selling sleep-related products, the Sunset Dimmer plugs into a simple outlet, then slowly lowers the room’s lights over the course of approximately 30 minutes. 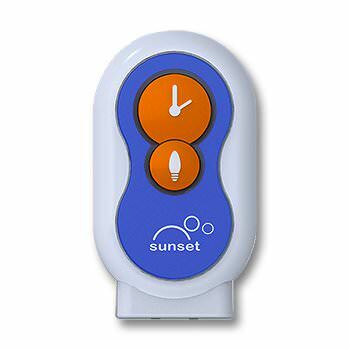 The Sunset Dimmer is especially useful for children who prefer to read before bedtime; this device allows their eyes to grow tired naturally, while also ensuring no lights are left on overnight. This plush turtle is both comforting and awe-inspiring. The turtle projects a starry night sky onto walls and ceilings in soothing colors ranging from blue, to green, to amber. Unlike similar toys, these projections include actual constellations, including the Big Dipper. 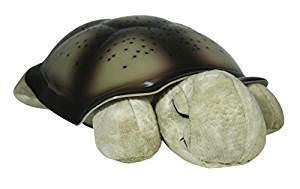 The turtle, which can also be purchased as a ladybug, is battery operated and automatically turns off after 45 minutes. 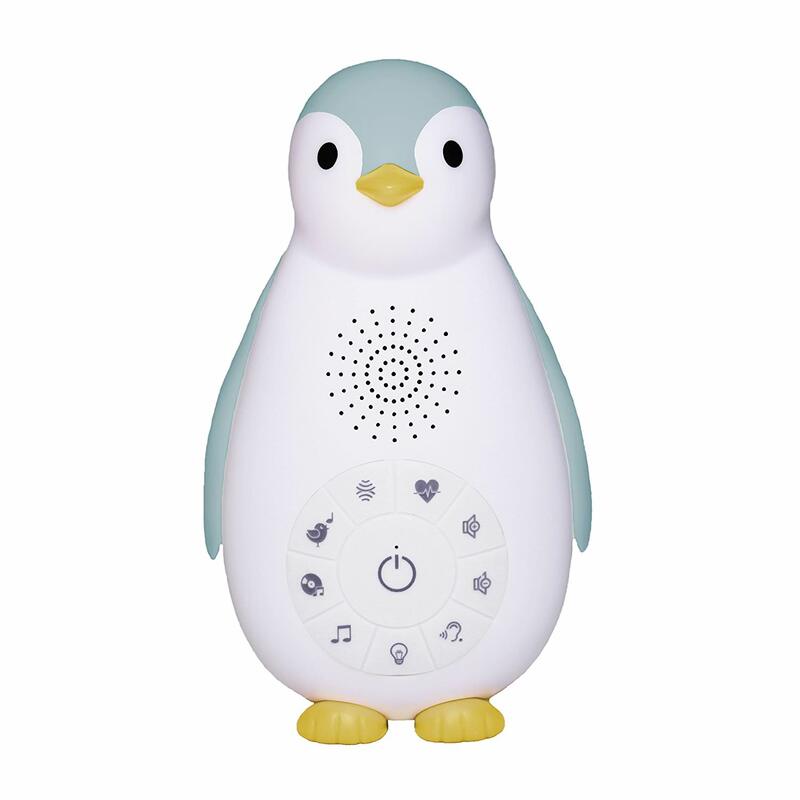 Zoe the Penguin, available in blue or pink, is designed to help babies and toddlers fall asleep faster and stay asleep longer. Zoe comes equipped with a number of pre-set lullabies, white noise, a heartbeat sound, and nature sounds, and includes a sensor to automatically turn on when the baby begins to wake up (it has an automatic 20 minute timer). For older children, Zoe’s two brightness settings even make it a useful nightlight. The Zipadee-Zip is the revolutionary new sleeping product that was featured on the television show Shark Tank. This cozy sleep suit is the perfect solution to swaddle transitioning, and acts as a wearable blanket that keeps baby comfortable while also ensuring she is able to move around at night without waking herself up. The Zipadee-Zip is approved by sleep experts, pediatricians, and hundreds of parents. Bonus: Choose one of our top picks for kids mattresses and kids pillow. Sleeping on a high quality mattress can make all the difference, especially if it sleeps cool.